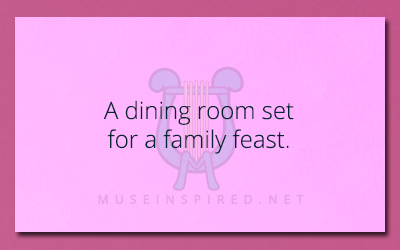 Siring Settings – A dining room set for a family feast. Siring Settings - A room where the walls are furry. Siring Settings - A pastel village by the sea. Siring Settings - Canyons covered in unusual, but beautiful colors.